KPIs. These three words are known to every person who works in a modern company. KPI stands for Key Performance Indicators. Those should tell us how our product and company is doing. But not all KPIs are the same. Figuring out KPIs for a product you need a good mix between leading and lagging indicators. Lagging indicators are easier to track but harder to influence. Leading indicators show you a progress of your product performance. It shows you a change as it happens. It's a predictive type of indicator. Leading indicators show you how a product is doing right now, in this very minute. Based on that information you still have time to do something, influence those indicators. Leading indicators are harder to track but easier to influence. 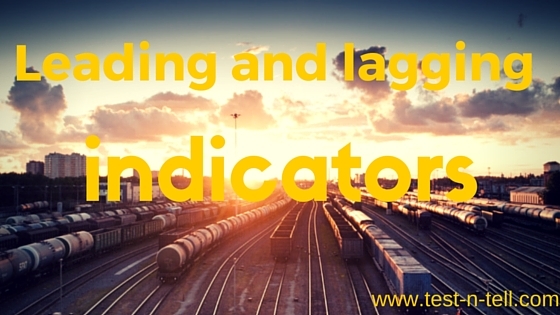 Lagging indicators give you a bigger picture. It allows you to compare your performance between the time periods. While showing good overview lagging indicators are usually reactive. When you see lagging indicators it's too late. The train is gone. Leading indicators allow you to influence your situation. You see the situation as it develops and can take decisions to improve it. However, leading indicators are short sighted. You can draw some trends from leading indicators, get some predictions. Yet this information does not guarantee the outcomes. Measuring product performance is the vital activity for a product success. Key Performance Indicators (KPIs) are the common method of measuring product performance. KPIs could be logically divided into lagging and leading indicators. Lagging indicators are post-event, outcomes focused measurement. While leading indicators showing a change as it happens, being predictive measurement. By combining both types of indicators you can see how your product is doing, adapt accordingly and reach the successful outcomes.